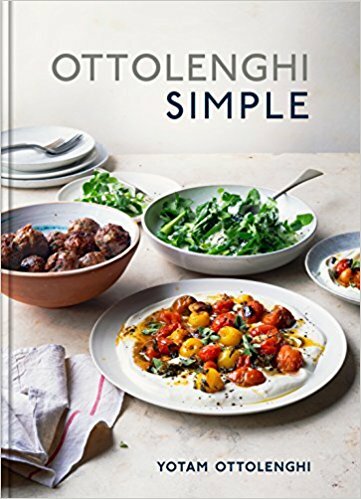 Ottolenghi’s cookbooks are temples of taste, inventiveness, spicing and usually a long slog buying ingredients and the time involved to produce his beautiful food. I believe good food does take time, but he is out to challenge me, and he wins. It’s altogether a mantra for getting dinner on the table as easily as possible. And it does. I was surprised at both the taste and elegance of the recipes which were approachable and often easy to accomplish. He is the king of bold flavours. Ottolenghi has looked for quicker ways to achieve taste by adding interesting spicing and using cooking methods that are not fiddley. he has managed to keep ingredient lists to less than 10. The book is not to be dismissed as Lenghi light, it has some cheffy elements but his big bold flavours dance on the pages. Vegetables are the stars for me — his roasted carrots with tahini sauce was a perfectly balanced mixture of sweet, nutty and rich while the slow-roasted celeriac melted in your mouth. The lamb sinyah a Middle Eastern shepherd’s pie with a tahini crust, is worth the price of the whole book. Simple it may be but the flavour blends and stunning pictures make it a book for both chefs and home cooks.